Nikki Beckett could only watch as her boyfriend, Jack, sacrificed himself to save her, taking her place in the Tunnels of the Everneath for eternity — a debt that should’ve been hers. Now she is living a borrowed life, and she doesn’t know what to do with the guilt. And every night Jack appears in her dreams, lost and confused and wasting away. No matter how she tries to reach for his hand, she can never find it. Nikki and Cole, along with Cole’s bandmate Max, descend into the Everneath, only to discover that their journey will be more difficult than they’d anticipated — and more deadly. From a Lake of Blood and Guilt to Sirens’ alluring tricks to insurmountable walls of rock and flame, the trio is given every reason to turn back and give up. But Nikki vows to stop at nothing to save Jack — even if it means making an incredible sacrifice of her own. First Sentence: I see Jack every night. Everneath is my most favorite book read and released in 2012 and I absolutely couldn’t wait until Everbound came out. Sadly, I never managed to get an ARC of Everbound and I thought I’ll get my own copy of Everbound on January 22 – it’s release date – until I saw a copy sitting there in Strandbooks, new condition, for $9.00 (that’s half price off! ), three weeks before its release date. You should have seen me squealing in excitement and quickly snagging the book off the shelves before anyone else could get it. But enough about that. Everbound was exactly how I remembered Everneath to be: sad, but exciting; adventurous, yet dangerous. Before I started Everbound, I was worried that I wouldn’t get into it because I read Everneath near the date when it was first released (which is about a year ago). I was planning to re-read Everneath a week before Everbound‘s release date to be prepared for it, but I wasn’t expecting to get a finished copy of Everbound so early (not that I’m complaining). I didn’t have to worry, Brodi Ashton managed to give mini-recaps of the events that happened in Everneath without any info-dumping. It was all natural and fits in and goes with the flow. The world of the Everneath wasn’t what I was expecting at all. I was expecting something a bit more like Hade’s version of the Underworld (it is a retelling of Persephone after all) with hell and fire and all that, but for the Everneath to be an entirely new world that just works with cheesy names and elements is amazing. What I loved about Everneath was how Brodi Ashton managed to weave memories of Jack into the book so naturally. She does the same in Everbound (although not as much), and every time I get to a part where Nikki is reminiscing about her moments with Jack, I couldn’t help but feel a huge smile grow on my face. However, we don’t really see a lot of Jack in Everbound, but more Cole. Cole is a really conflicting character to me. In Everneath, I was strictly on Jack’s side. However, Everbound shows depths of Cole’s character that we never knew before. Let’s just say I’m on team whoever-makes-Nikki-happy now. As a side note, I’m sure people who were not really fans of Everneath due to the lack of action will really enjoy reading Everbound. There’s tons of more action and less flashbacks. Since I got a chance to read my most anticipated 2013 book a lot more early than expected, I decided to host a giveaway allowing you guys to win a copy of Everbound or your most anticipated 2013 book as long as it’s under $21. The only condition I have is that the book must be released in 2013. This giveaway is international as long as The Book Depository delivers to you. Below are some suggestions you can choose. Hmmmm, tough pickings. I would probably pick…between Etiquette & Espionage and things i can’t forget. I really would like to have “Sweet Peril”…I really loved Everneath and cannot wait to get my hands on Everbound. I will be honest, I started to read your review, but I came across some spoilers…I am old school and want to experience the story first hand. This does not mean that your review is not helpful; just a personal preference :) Happy Reading! I don’t know what book to choose! They all look soooo good! 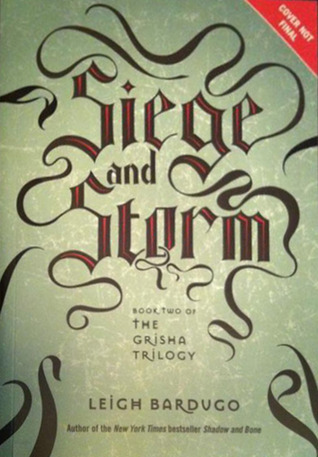 Siege and Storm ’cause Shadow and Bone was my favorite book in 2012.! I’d probably choose Scarlet, the Things I Can’t Forget or Just One Day :) Thanks for the giveaway! I loved the story of how you found your copy of Everbound! What an awesome experience :) Glad to hear it’s as good as Everneath, and that we’ll see more of that realm itself and of Cole. I found him to be an extremely interesting character. Thanks for the giveaway! I’d probably pick Sweet Peril, or maybe Phoenix by Elizabeth Richards. I would pick Vortex, Scarlet, or Clockwork Princess. Thanks. I would love Goddess, or the Goddess Inheritance. Thank you for hosting a giveway! I would love, Goddess or The Goddess Inheritance. Thank you for hosting a giveaway! I’d chose Everbound! I loved Everneath and can’t wait for more! Thank you so much for a great giveaway! Jennifer – Books that Spark. Thank you so much for this amazing giveaway! Mine’s either Splintered or Siege and Storm! I really liked Delirium and Pandemonium so I would probably choose Requiem! I am really looking forward to read this last installment of Lauren Oliver’s book. Thanks or this Give away! God Bless! I’d pick Ever After by Kim Harrison. This is one difficult decision! There are so many awesome books being published this year! I would probably go for Vortex! Anyway, enough of my spiel. I totally agree with you on EVERYTHING! I. Love. Jack. BUT I also love Cole! Team whoever-Nikki’s-happy-with FTW! That ending=THE WORST THING EVER. I was totally crying and going insane and BLUBBERING like an idiot. Yep. I’m awesome like that. Also, I didn’t really comment for the giveaway, but since I’d kill two birds with one stone, I’d choose Requiem! Maybe. Or Boundless. Or Sweet Peril. Or Siege and Storm. *Clutches Kelly* WHICH ONE TO CHOOSE? I DON’T KNOW. As you can see, I’m a little crazy. I’m also a very picky buyer. And I’m also obsessed with giving away my ARCs so I kind of gave away all the ARCs that I LOVED (including The Madman’s Daughter) to my awesomesauce bloggy friends, and now I just want to rebuy those books. Just because. DON’T ASK ME WHY. JUST GO WITH IT. LOL omg, don’t worry, I do that too! If I received an ARC and really loved it, I go out and buy the finished copy even though I have the ARC already! I bought Everbound and now I found out I won an ARC of Everbound in a giveaway, so I’m just standing here thinking OMG WHAT DO I DO NOW?! I’d choose Prodigy. Thanks for the giveaway! Boundless, please :) Thank you for the giveaway! I’d choose either Boundless or Scarlet! Can’t wait for them to come out. I’d choose either Siege and Storm or Let the Sky Fall. *-* Thanks so much for the chance! I just can’t wait to see what happens after shadow and bone!! Awesome! I have so many I can’t wait to read for 2013. I’ll have to decide when (if) I win! :D Thanks for this sweet giveaway. This book sounds awesome. Another one to add to my TBR pile. hehe! I’d probably choose Etiquette and Espionage because I’m reading Gail Carriger’s adult series and loving it! Unravel me or Siege and Storm. Thanks!! Probably Things I Can’t Forget. My library doesn’t usually get her books. I’d go for Etiquette & Espionage.Thanks for making this giveaway INT! I would probably choose Mind games or Clockwork Princess. *squeel! * a free 2013 book! Oh my God I want this!!! There are so many good books coming out this year and I just can’t wait for them, really. Maybe Everbound or Clockwork Princess. I’d like to choose The madman’s daughter or Sever, please! I think I’d choose Everbound or Unravel Me! This is incredibly hard, but it would probably be either The Clockwork Princess, Sever, Let The Sky Fall, or Everbound. lol. Sign me up for LET THE SKY FALL, please! that book looks amazing! I will choose Everbound or Sweet Peril or Pivot Point! I’ve read Sweet Evil and I absolutely loved it! I would probably choose Requiem, Unravel Me or Boundless. They’re all my favorite series. Probably Scarlet or Unravel Me. Thanks for the giveaway. Splintered, Fragments or Mila 2.0 !! Probably Sweet Peril or the newest Kelley Armstrong. I’m torn between Boundless and Sweet Peril, can’t wait to read what happens next! Clockwork Princess or Splintered. Thanks for the giveaway. Lucky you! You’re finished reading it already! fallen too far or hopeless. thanks for the giveaway! Definitely Everbound! I cried like a baby at the end of Everneath. I think I would choose Boundless! Thank you for the chance to win! Maybe Ever After by Kim Harrison or Etiquette and Espionage. Thanks for the giveaway! i would so choose Requiem! Thanks for the great giveaway! I really love to win The Madman’s Daughter or Lt the Sky Fall :) Thanks for the chance! I’m stuck on three: Clockwork Princess, Boundless, and Goddess, they all sound so good!! It would be hard to choose since about half are on my most anticipated list, but I would love Emblaze by Jessica Shervington. It’s not on the list though, but I was wondering if maybe I could get that. Clockwork Princess is my most anticipated book of 2013 since December 2011, but since i’m gonna get that the DAY it comes out (I will be raving mad and squealing too) I guess Emblaze is my number one right now. All of them are great! I’ll go with Siege and Storm or Prodigy. Clockwork Princess! Tessa and Will ftw! I’d love Mila or Mind Games! I think “Splintered.” Love the book cover! If I win, I’d choose “Let the Sky Fall” by Shannon Messenger. I just finished Everneath and I can’t wait to read Everbound! The book is just..wow! Thanks for this opportunity. I’d love to win a copy of Everbound or Unravel Me. Thanks! I want MIND GAMES! I tried for an ARC of it, but no luck:( Great giveaway! CLOCKWORK PRINCESS OR REQUIEM! WOO to series conclusions!! The Clockwork Princess or Splintered. My first choice was Scarlet but that will be coming home with me on Tuesday :) Thanks for the giveaway! I would choose Splintered or Pivot point. I would choose Splintered or Sweet Peril. I REALLY cannot wait for this book!! I can’t! I ordered a signed copy from Books of Wonder (really really upset that I couldn’t make it to the actual signing) An I am extremely impatient about the fact that I must wait for it to ship!! (WHYYY?) But i’m nervous about what you said about Cole…I am totally team Jack but a lot of book lately have been doing that…flopping the love triangle over to the villain side..its new and fresh and a cool idea to play with…but I don’t think my heart can take it!! It is not much that i read first book. I can’t wait for this one to be published in Turkey. I want to read this series really bad! I have heard so many good things about this book! That was a steal BTW! Thank you for sharing your review! I am excited to get my hands on this! I’ll definitely check your review when it’s up. I enjoyed Everneath, but for some reason I had a really hard time with connecting with any of the characters. I do agree with you about the memory thing; most flashbacks in books annoy me, but Nikki’s thoughts of Jack did for very natural. Cole is my favorite for being the most complex (thought not necessarily the nicest). Cole IS not nice, but when I put myself in his position, I can see WHY he did it and what he hoped to gain by doing it. I just absolutely love this series. This is my favorite myth so it has a lot to live up to. And it does!! I’m addicted. I cannot wait for book 3 so I can dive into the underworld again! I can’t wait until book 3 comes out too Vivien! I need some answers! Sounds like my kind of book! 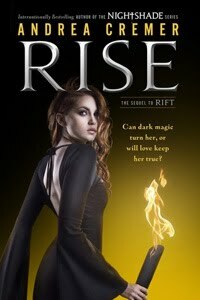 I love fantasy romance with a twist of dark! the book sounds fantastic! The cover is also STUNNING! I really loved the review, it brought the negative points to readers view along with the positives and really helped me to make my mind for this book. Thanks again. I am SO happy to hear that Everbound is as good as Everneath was! I’m always afraid to read the second book of a trilogy or series, because they’re usually the worst ones. Glad this does not disappoint. I know in Everneath, I kind of liked Cole for some reason…or just didn’t think he was 100% evil anyways. I’m hoping there’s more to him, y’know? (Don’t get me wrong- I thought Jack was great too! ).